In addition to Sunday mornings with Pastor Poulos, the men have another opportunity to come together during the week to study God's Word. 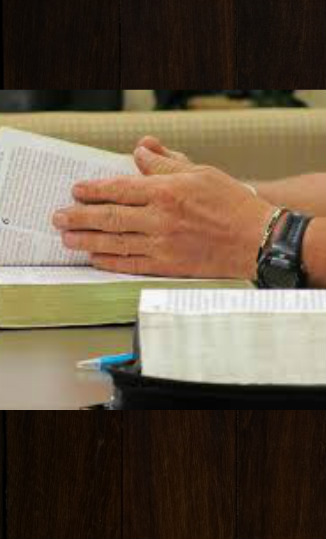 Men are invited to gather each Saturday morning, beginning at 8:00 a.m in the Fellowship Hall for breakfast and Bible Study. The men in attendance donate $4.00 to cover the cost of the delicious hot breakfast that is prepared and served each week. Come and join in. You will be glad you did!